Legendary singer Neil Diamond is stopping in Christchurch on his 50th anniversary tour. 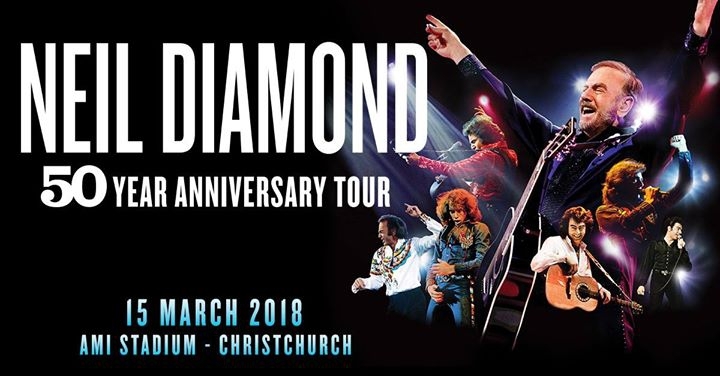 This is the only South Island show on the tour which celebrates Neil Diamond's five decades in the entertainment business. The set list includes all the favourites including Cracklin’ Rosie, You Don’t Bring Me Flowers, Sweet Caroline, Love on the Rocks, Desiree and Shilo.